Dr Markku Jalkanen, CEO of Faron, said: “We have, and are continuing to build, a solid body of evidence which indicates that there is clearly a subgroup of patients for whom Traumakine treatment could potentially be very effective. The identification of these C/T patients is very easy with PCR-based analysis of a patient’s DNA sample and provides a way to target this precise group of ARDS patients, representing around one third of all ARDS patients. TURKU – FINLAND, 5 December 2018 – Faron Pharmaceuticals Ltd (“Faron”) (LON: FARN), the clinical stage biopharmaceutical company, today announces it has identified, by genetic testing, an optimal subgroup of acute respiratory distress syndrome (ARDS) patients for Traumakine treatment (intravenous interferon beta-1a) who showed a substantial reduction in mortality during the INTEREST trial. Multivariate regression analyses that adjust for disease severity indicate that patients receiving interferon beta-1a treatment (Traumakine) and carrying the single nucleotide polymorphism rs9984273 (C/T) in subunit 2 of the interferon alpha and beta receptor (INFAR2) (n=46) had 5.7 times greater likelihood of survival at Day 28 (p=0.0057) than patients without this mutation (n=58). No similar survival effect was seen for the C/T polymorphism in the placebo group. This suggests that together the C/T mutation and Traumakine treatment is the most favorable combination for patient outcome and interferon treatment efficacy. The D28 overall mortality of this group was 11.1% despite receiving, or not receiving, concurrent steroids. In patients with the C/T polymorphism who received Traumakine but not concurrent steroid treatment, mortality was only 4.2% (n=25). Faron intends to file these data with regulatory authorities (EMA/FDA) in Q1 2019 and to seek advice on the future clinical development of Traumakine in the EU and the US for this precision treatment. The prevalence of this unique polymorphism* is around 30-35% among Caucasians, 40-45% among African origin and 10% in Asian populations, indicating a target population of around one third of ARDS patients in Europe and North America for whom Traumakine treatment could potentially be most effective and life saving. Faron (AIM:FARN) is a clinical stage biopharmaceutical company developing novel treatments for medical conditions with significant unmet needs. The Company currently has a pipeline focusing on acute organ traumas, vascular damage and cancer immunotherapy. 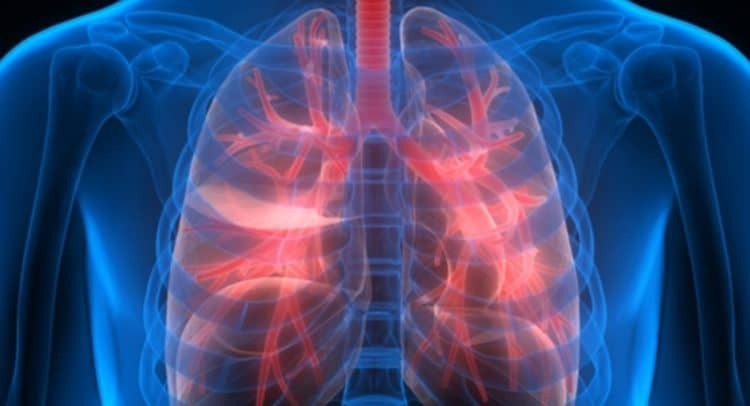 The Company’s lead candidate Traumakine, to prevent vascular leakage and organ failures, has completed a Phase III clinical trial in Acute Respiratory Distress Syndrome (ARDS). An additional European Phase II Traumakine trial is underway for the Rupture of Abdominal Aorta Aneurysm (“RAAA”). Faron’s second candidate Clevegen is a ground breaking pre-clinical anti-Clever-1 antibody.